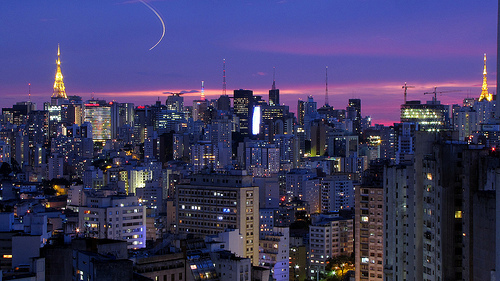 A good fare to Sao Paulo. Valid for travel from April – mid-June, 2016. Must purchase at least 7 days in advance of departure. Support us by using our Expedia to book with dates found on ITA Software Matrix Airfare Search. 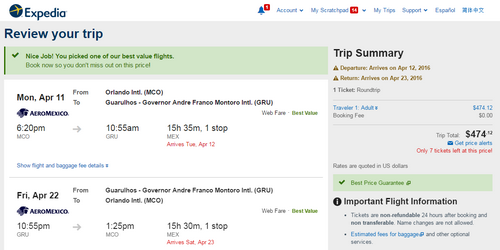 Select “Show Additional Options” and then under “Preferred airline:” select “Aeromexico” to price this out.